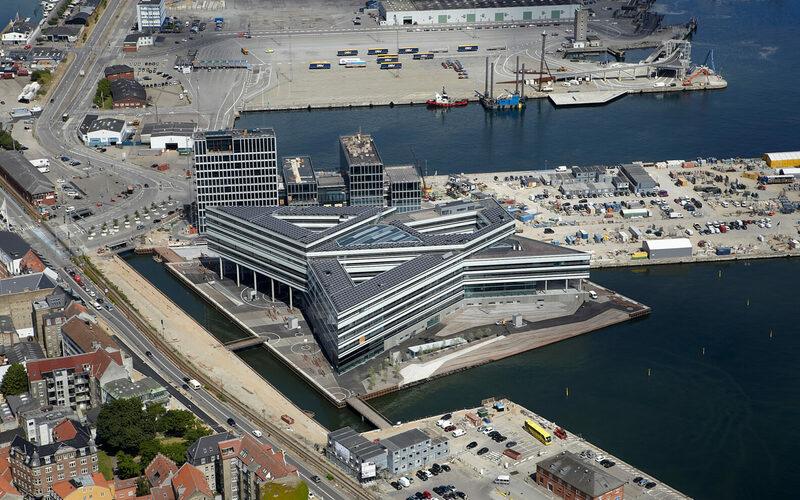 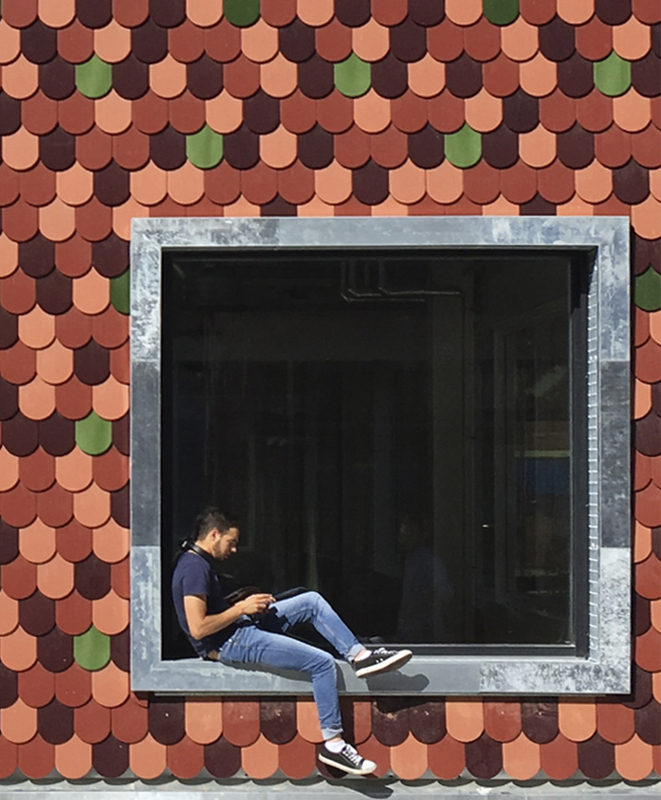 Surrounded by water on the Aarhus harbour front, the star-shaped building of Navitas provides the ideal environment for establishing cooperation between the business-, research- and education communities. 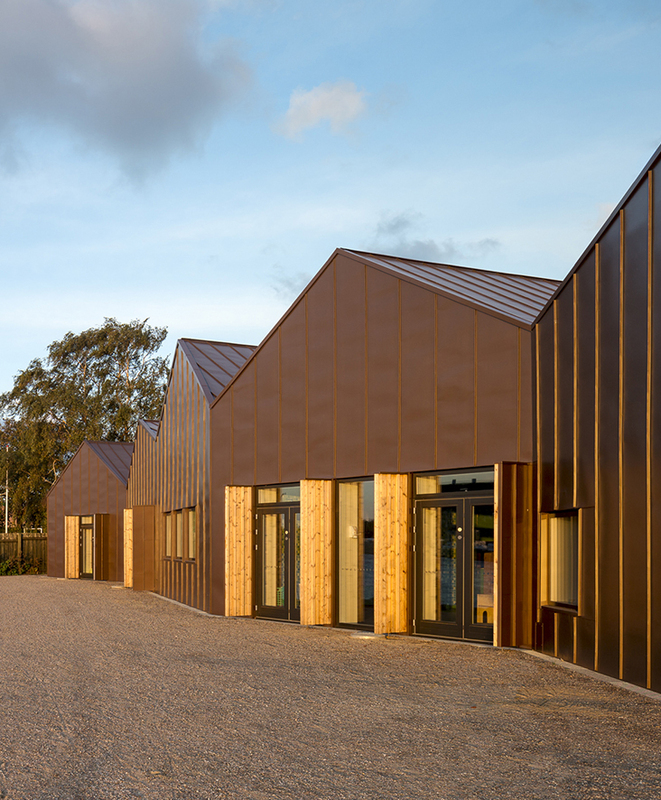 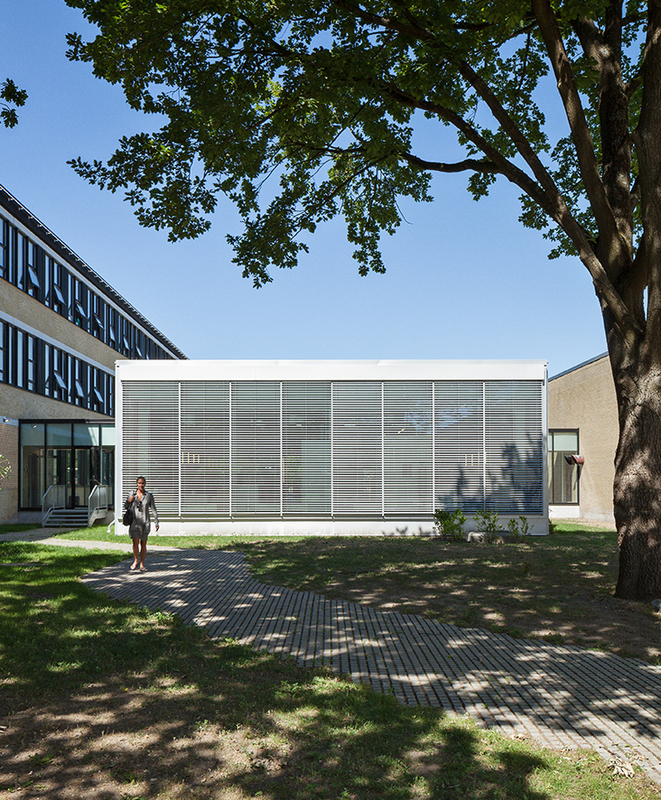 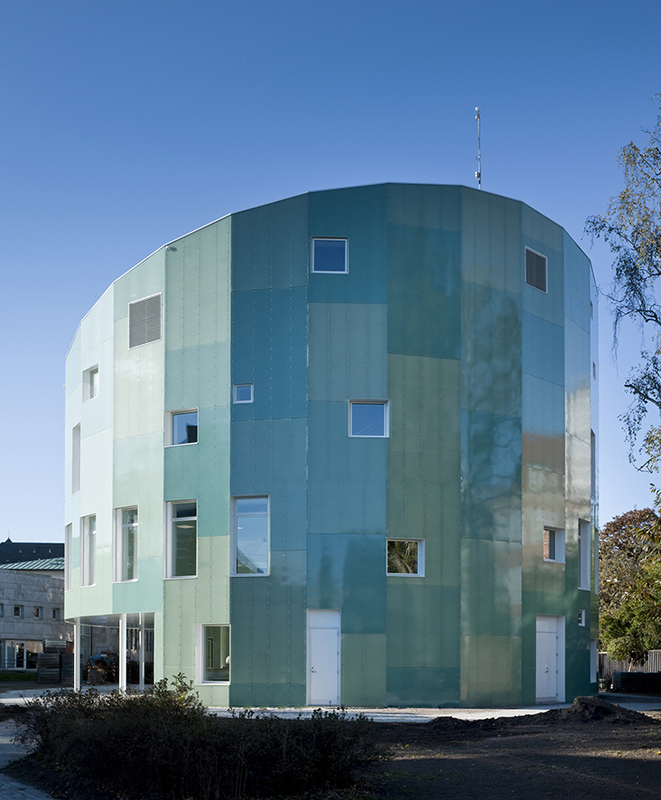 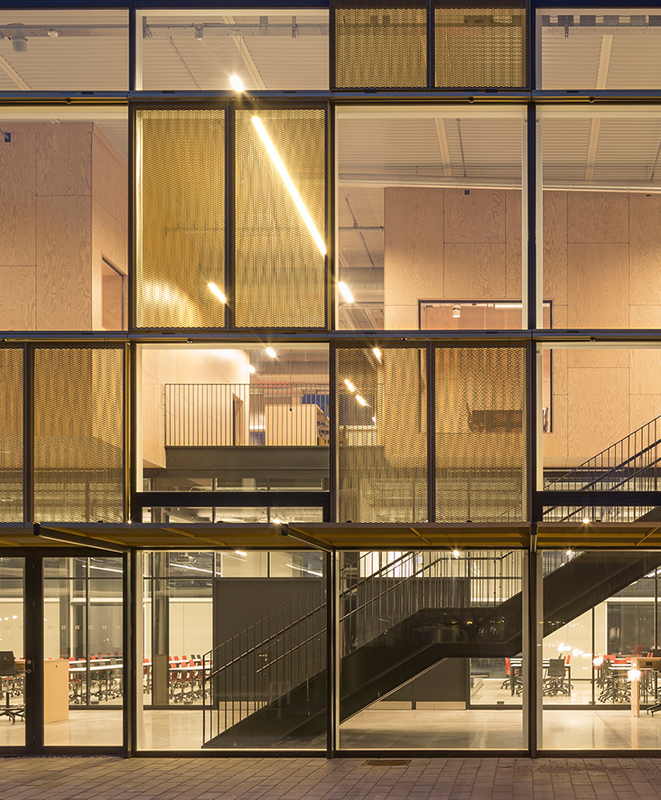 Navitas is home to the Aarhus University School of Engineering, Aarhus School of Marine and Technical Engineering and the INCUBA Research Park. 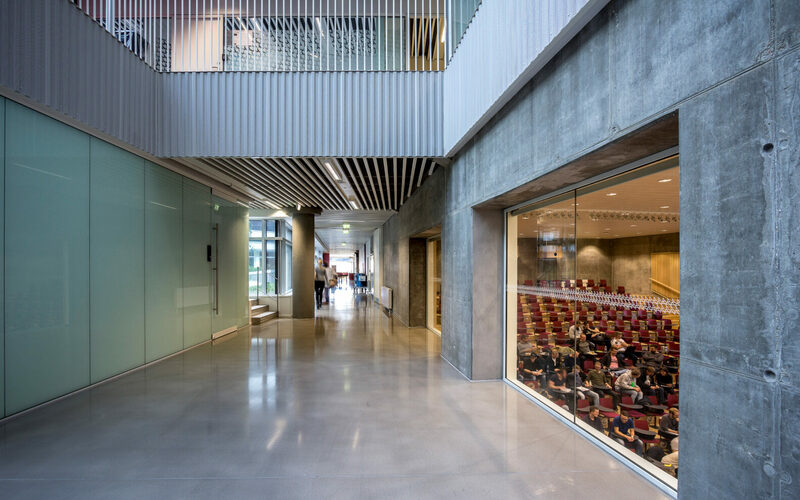 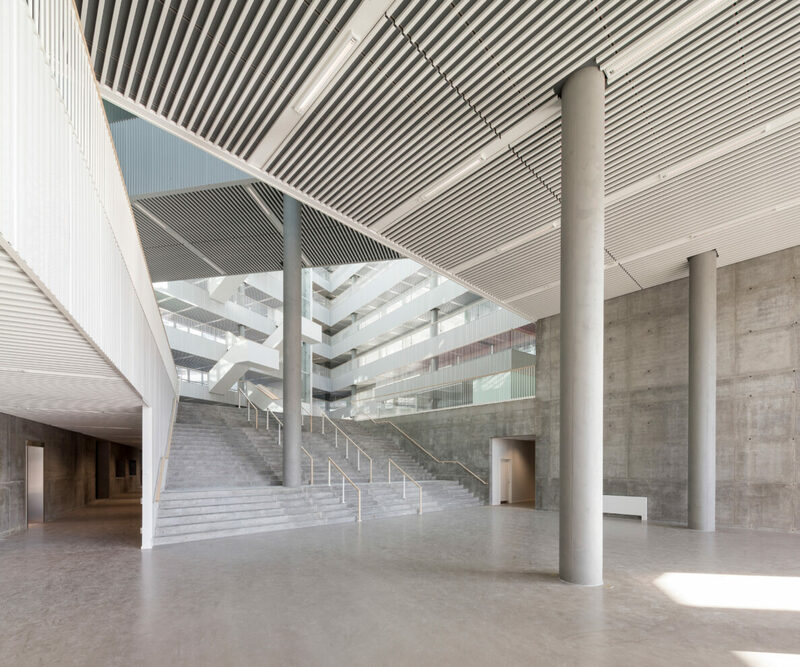 The entrance area is made of raw concrete and opens into the architectural focal point of the building: The atrium, where white stairways contrast delicately with the heavy concrete walls and columns. 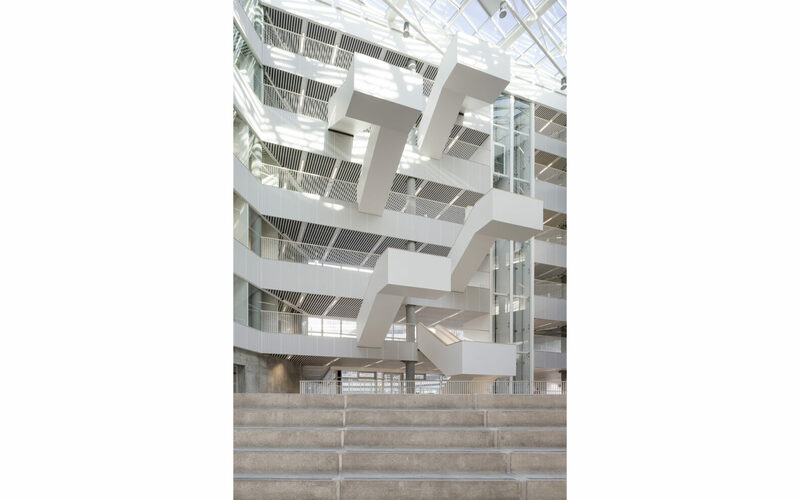 Spatially the atrium is designed to increase a sense of community as well as collaboration between the different areas of expertise encompassed in Navitas. 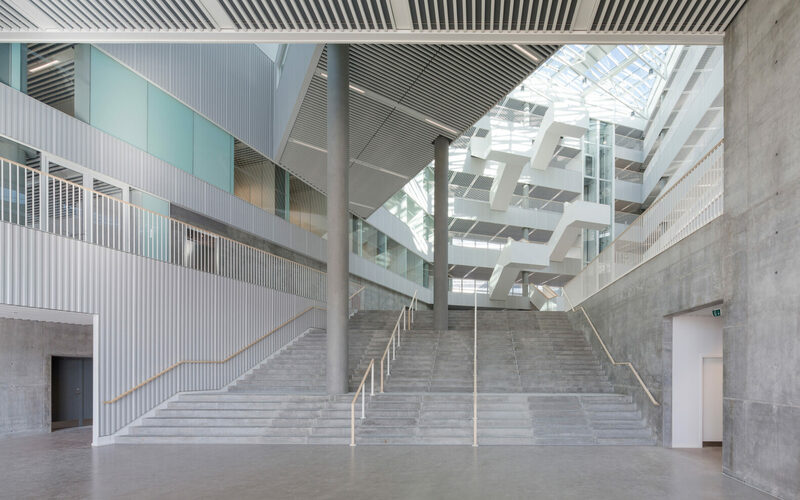 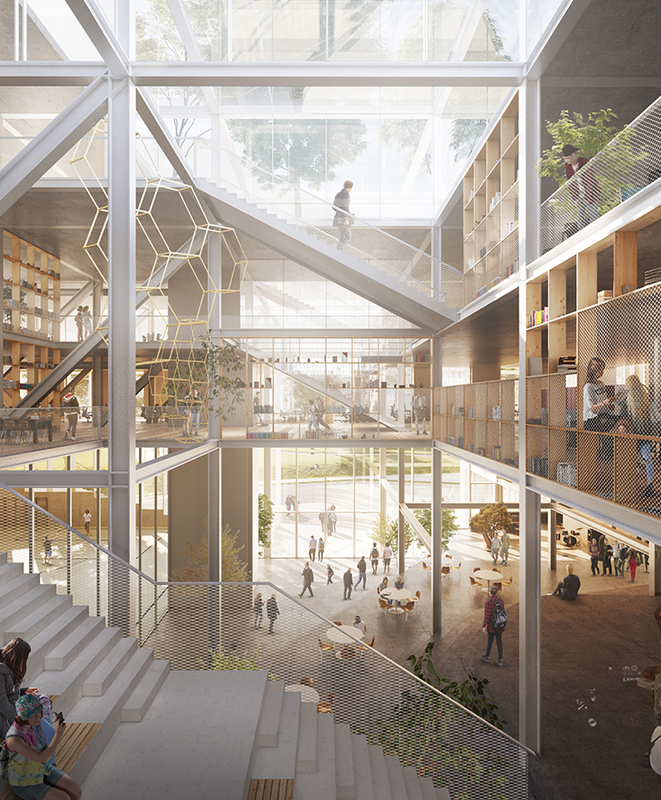 Daylight floods down through the different levels, where 2,000 students, teachers, researchers and businesspeople spend their working days, freely interacting with each other. 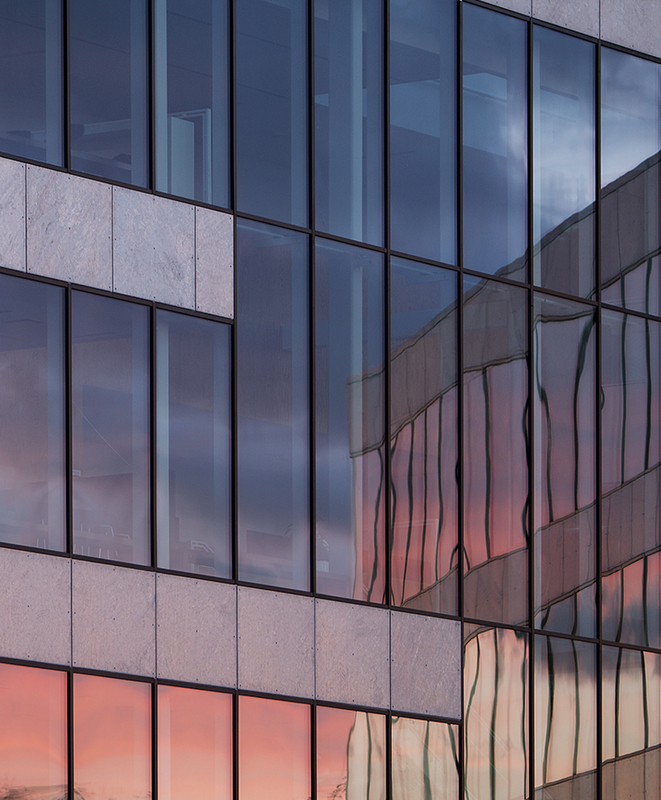 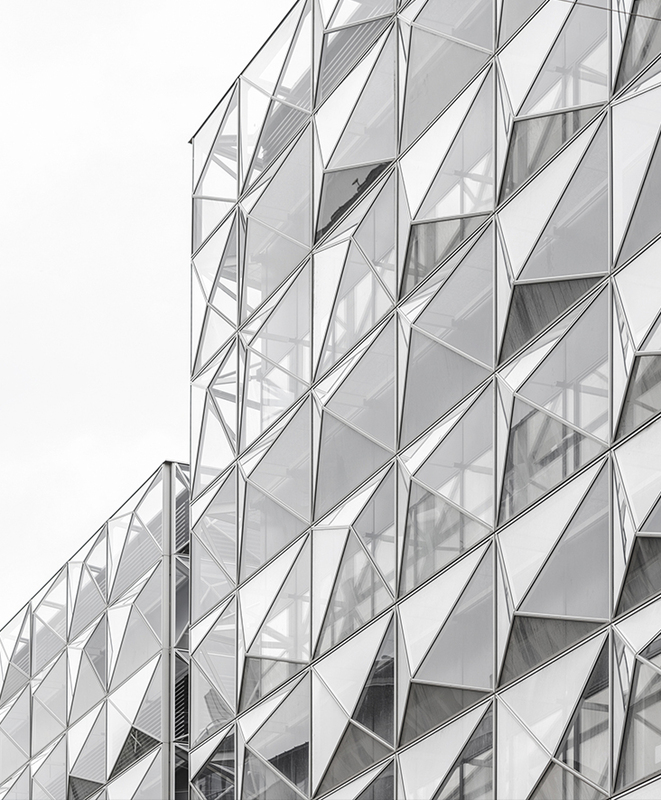 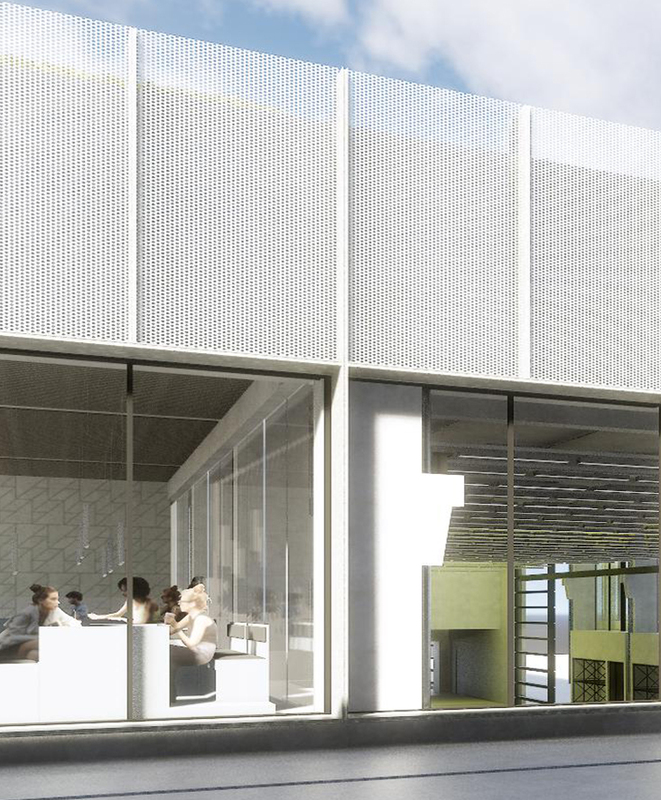 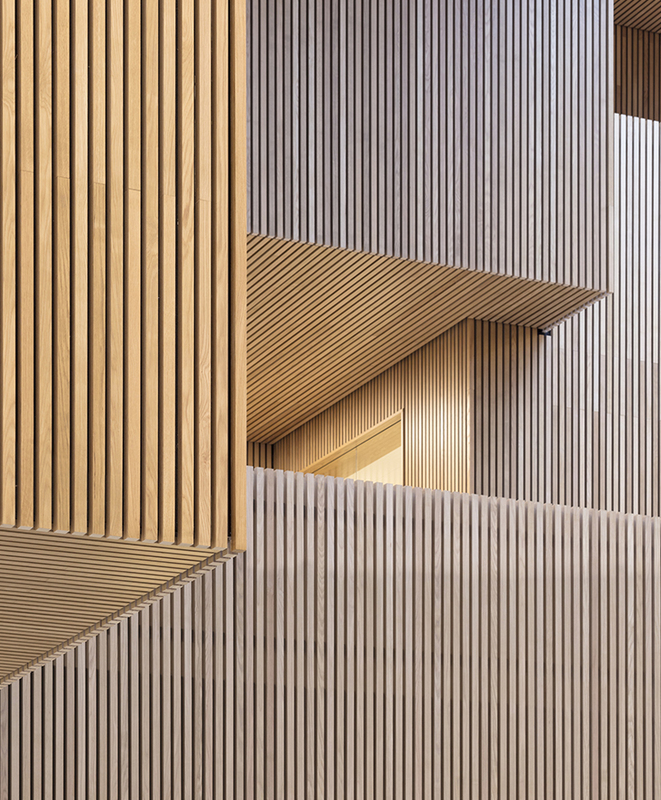 Technologies including 1,280 solar panels and sea water-based air-conditioning make Navitas the biggest low-energy building in Denmark, and therefore perfect for its role as an international beacon for energy technologies and energy efficiency.